Wash then cut mushrooms and capsicums into big pieces. Heat 3 tablespoons of oil in a frying pan, add mushrooms and fry over a high heat for 2 minutes. Add half of the garlic and oregano to the pan, mix, then transfer onto a dish and leave to cool. Repeat the process for the capsicum but make sure to fry for 3 minutes. Add olive oil, vinegar, salt and pepper to both dished and serve warm or cold. 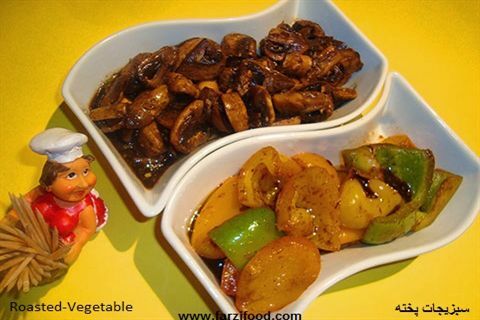 You can make this recipe with vegetables of your choice. When making kebab and you’re using wooden skewers to make kebabs, soak them in water for 30 minutes before use. Expired baking powder will not give you the desired results.